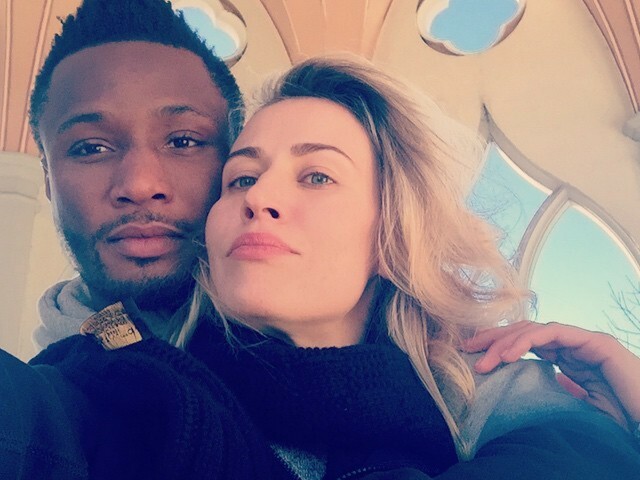 Mikel Obi's Russian wife Olga Diyachenko, has explained how she met and fell in love in the Nigerian footballer. The mother of two revealed in a live video on Instagram that they were neighbours for 5 years, but hadn't met until the day they (her family) were moving out and she went over to his place to drop the keys to their apartment. Mikel used to be my parents neighbor. We lived there for 5 years. As my parents were leaving the flat, I dropped off the keys at his flat and that was how we met and started off as friends and then grew into lovers. it was never a magical love story because we were neighbors for 5 years but we never met until I went to drop off the keys when my parents were about to leave the apartment”. She also said their children have just English names and no Nigerian or Russian names as they are citizens of the world. Olga revealed she loves to listen to Nigerian songs but never watches Nigerian movies . Mikel on the other hand loves to watch Nigerian movies, she added. “I don’t watch Nollywood movies. Mikel watches a lot of Nigerian movies. I don’t watch them. I love listening to Nigerian music. They have nice beats”.